With the increasing number of tuberculosis cases worldwide, it is important that you to know what is tuberculosis and learn about its symptoms, diagnosis, and the forms of treatment. Tuberculosis, commonly known as TB, is an airborne infection caused by a highly contagious bacterium called Mycobacterium tuberculosis. These bacteria usually infect the lungs, but they can also cause infection in other parts of the body such as the kidneys, spine, and the brain. In cases where the infection occurs in the lungs, the condition is called pulmonary TB, while infection of other sites in the body is called extrapulmonary TB. It is important to learn what is tuberculosis, as this is a highly prevalent disease in the world. When TB occurs outside the lungs, the signs and symptoms may differ according to the organs involved. For example, tuberculosis of the spine may cause back pain, while tuberculosis in the kidneys might cause blood in the urine. 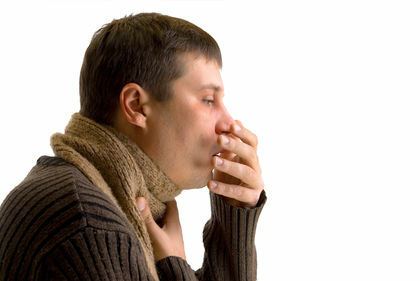 TB is transmitted when an infected person coughs, sneezes, speaks, or even sings. All of these activities release many droplets in the air that carry the bacteria from person to person. When it comes to contracting Tb, certain people are at higher risk than others. These people include those with prolonged, frequent, or close contact with TB-infected people. Individuals with weakened immune systems are also at high risk, such as those with a Human Immunodeficiency Virus (HIV) infection. TB is one of the leading causes of death in people living with HIV. Other reasons that could weaken the immune system are diabetes, end-stage kidney disease, cancer and cancer treatment, drugs given to suppress the immune system in case of organ transplantation, malnutrition, and old age. Once transmitted, the TB bacteria can remain dormant (latent TB) or cause the disease (active TB). Most clinical tuberculosis cases occur months or years after the infection ha been acquired. TB was declared a global health emergency by the World Health Organization in 1993. To counter this disease, the Bacillus Calmette-Guerin (BCG) vaccine is administered to children as part of immunization programmes of many countries. The greatest challenge in treating and managing TB has been the emergence of the strains of the M.tuberculosis bacteria. These bacteria are resistant to the drugs – Isoniazid and Rifampicin – given to fight them. This form of TB, also known as MDR-TB, is becoming increasingly common. Treatment programmes based on a specialized course of therapy called the Directly Observed Therapy – Short Course Plus (DOTS-Plus) are being employed to fight the menace of MDR-TB. As it has achieved considerable success at fighting TB, DOTS remains at the heart of the Stop TB Strategy of WHO. As tuberculosis cases are increasing rapidly in all parts of the world, it is highly recommended that you learn what is tuberculosis and keep yourself informed of the basics of this disease. This entry was posted in Tuberculosis and tagged tuberculosis, tuberculosis definition by Dr. Nivedita Dey. Bookmark the permalink.